Paul Krawzak and Niels Lesniewski get the promotions. 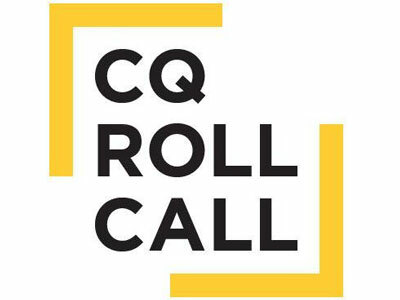 CQ Roll Call announced the promotion of two staff members and the hire of a new deputy editor for Roll Call. Ed Timms is coming to CQ Roll Call from The Dallas Morning News to serve as Roll Call’s deputy editor. “Ed is one of the most talented journalists I’ve ever worked with, and he will help make us all better, too,” said Roll Call EIC Melinda Henneberger in a statement. Timms, who starts May 2, has been at the Dallas Morning News since 1978, taking on a variety of reporting and editorial roles there, most recently as an investigative reporter. Paul Krawzak has been promoted to senior budget reporter. He was previously the budget and policy writer. “Paul embodies the best of CQ News, as his deep knowledge of the federal budget process and top-level contact book keeps us ahead of the competition on where the money is—and where it’s going,” wrote chief content officer David Ellis, CQ news director Steve Komarow and Henneberger in a memo to staff.